Podcast listeners: I completely forgot about posting the show notes for the podcast that I recorded/published last Wednesday evening. With a three day vacation up the coast and two "back to school" days for my boys, the past week has been very busy and I've had no time to craft/blog and forgot to give myself a visual reminder to blog about the Podcast. 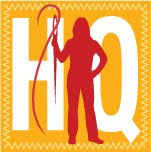 Please visit http://historyquilter.podbean.com/ or iTunes to listen to Episode 12 where my main quilting history topic was Dear Jane Quilts. I met up with Kate of the Quilting Daydreams Podcast. What a thrill to meet another podcaster! 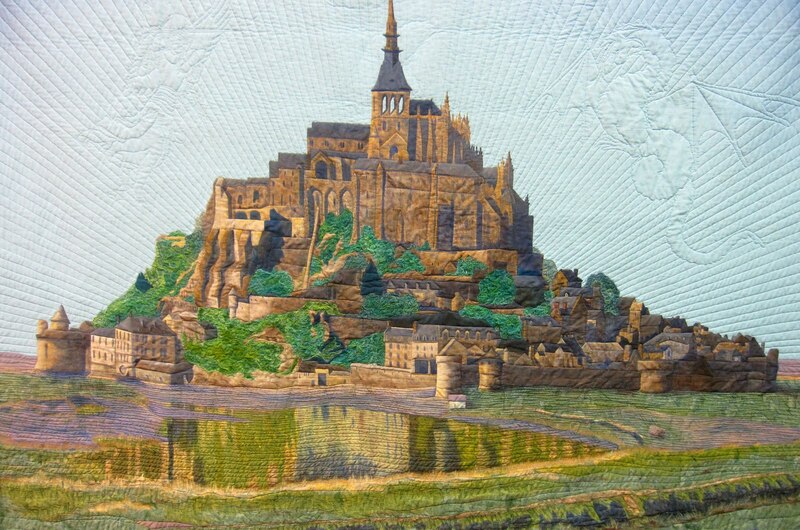 This quilt of Mont St. Michel took my breath away as from far away it looked like an actual photograph and but as I got closer the texture on the quilt jumped out at me which affirmed that it was not a photograph. 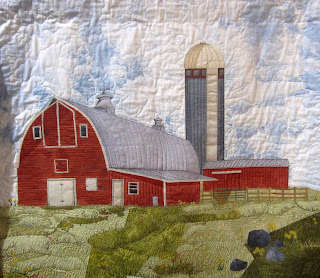 This city girl loves barns. 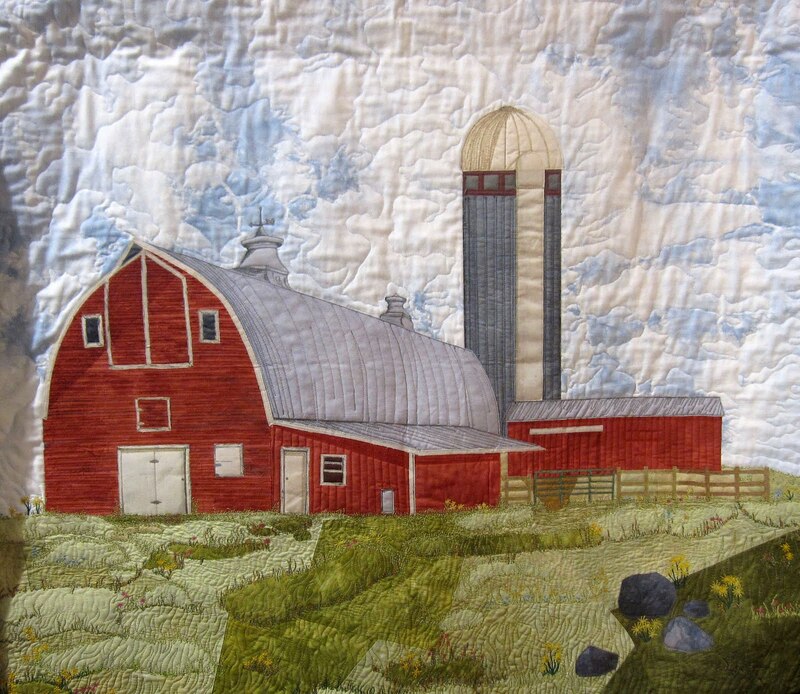 I want a little red barn in my backyard someday. All three of the following items that I talked about are from the Barefoot Contessa Back to Basics cookbook by Ina Garten. For you Nutella lovers, I give you Nutella Swirl Pound Cake. Very dense, sweet and full of Nutella. 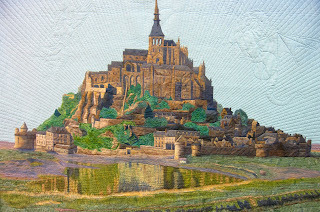 Brenda Papadakis wrote Dear Jane: The Two Hundred Twenty-Five Patterns from the 1863 Jane A. Stickle Quilt in 1996 and started a worldwide communal interest in making "baby Jane" quilts. Ms. Papadakis calls the original quilt made by Jane A. Stickle, the "mother quilt" and all others "baby Jane" quilts. 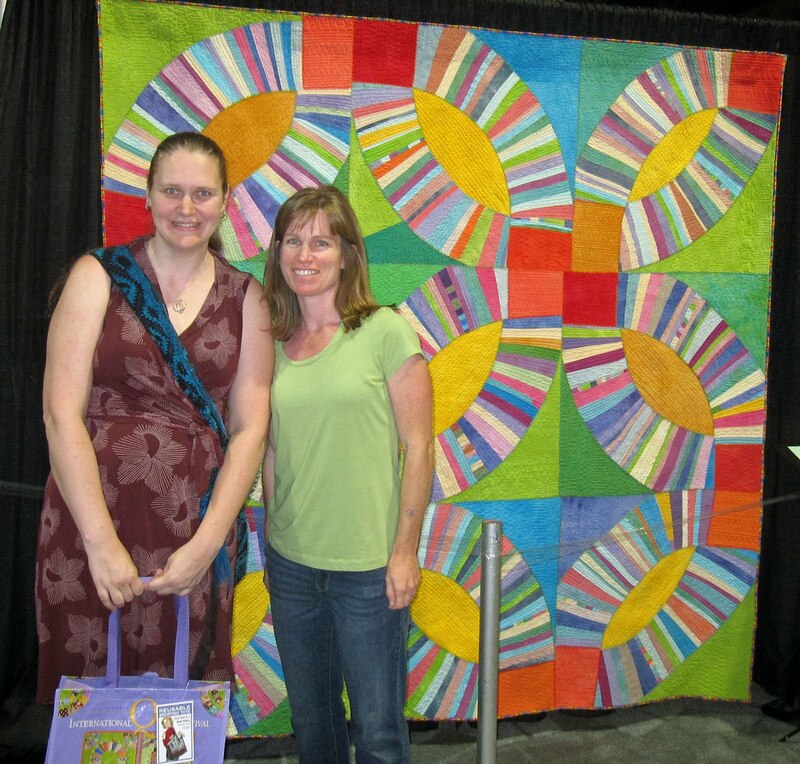 I also LOVED that quilt you're standing in front of! I really need to listen to you last podcast! Haven't had time alone in my sewing room for ages - maybe tonight! I love that recipes you share are from cooks I enjoy! The Nutella Cake sounds outrageous too! So nice your family could have a short trip AND you could meet a fellow podcaster! fun. Thanks for sharing Susan. The show was heaps of fun.